It is lengthening the time allowed for returns of unwanted items, but is threatening to investigate and "take action" if it notices anything unusual. It says if it suspects someone is actually wearing and returning goods or ordering and returning "loads", it might deactivate the account. 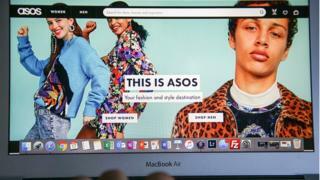 It said in November that "unprecedented" discounting had hit its trading, adding that cutting prices to match rivals had not shifted more clothes. Adding to the returns pile is the "snap and send back" trend, whereby customers post pictures on social media of themselves in new outfits. "It's unlikely to affect you, but we wanted to give you a heads up (more deets below). Thanks for being a great Asos shopper!"